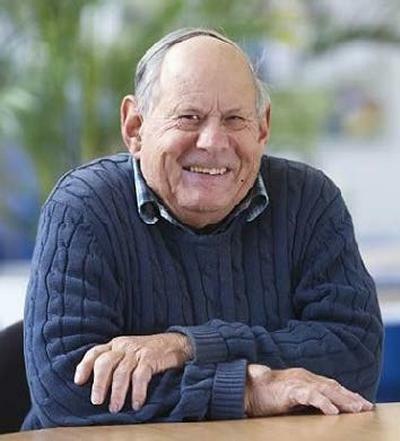 David Peacock was appointed to the Department of Archaeology, University of Southampton, in 1968, serving it until his death on March 15, 2015. As a scholar he had an international reputation for his studies of ceramic and stone artefacts, and of quarries and trade. He was honoured by the Archaeological Institute of America with the Pomerance Award in 2012, and with the Kenyon Medal by the British Academy in the same year. Within the Department, he enthused cohorts of students, supervised many research candidates, and twice served as Head of Department. In retirement, he founded the Highfield Press to enable research of high quality to be published at reasonable cost. To honour David’s memory, the Department of Archaeology has established a fund in his name. This will be used for the support of postgraduate students, in acknowledgement of his role in encouraging new generations of researchers and will not be limited to those studying his own particular interests. Expenditure will depend upon the sum raised, and it may include travel grants, equipment purchase, or maintenance or fee payments, depending on circumstances. It is hoped that the Memorial Fund will attract donations from David’s many friends and colleagues, and from former students of the Department of Archaeology, particularly in celebration of its forthcoming 50th anniversary. The fund is administered by the University of Southampton and more information on how to donate can be found here and in the University of Southampton Online Store under Archaeology.